It’s going to be a busy spring and summer for the real estate market in the Fairbanks AK area, as many first-time buyers are ready to make the transition from renter to homeowner! With mortgage rates low and home and rent prices on the rise, Alaskan homebuyers are getting a head start on finding the home of their dreams. But in the hustle and bustle of house-hunting, it is easy to get stuck on certain cosmetic home features that can easily be fixed— with some buyers writing the would-be-ideal home off of their list! Keep the following 5 things to ignore in your mind as you browse homes in Fairbanks, Anchorage, Eagle River, Wasilla, Palmer and North Pole this spring to avoid passing by the right property for you! Painting is perhaps one of the simplest home improvement projects you can do, so do not let odd paint colors or wallpaper cloud your judgment when searching for homes in Alaska. Instead, look past the paint color and at the whole of the home itself. Does the flow of the home work for you? Is there enough space? If so, remember that changing paint colors can be accomplished with a weekend of work and oftentimes less than $50. You may have found the perfect home, but then step into the kitchen to find outdated cabinets. A quick fix? Paint! You can give the kitchen cabinets a fresh coat of paint and new hardware for a fresh, new look. This home feature is not one that should deter you from buying a property in the Fairbanks area. Homebuyers in Alaska may find that light fixtures are not their style, but this is another aspect that can altered in the course of a few hours or even a weekend if you are replacing more than one. It is wise to tour a home in Fairbanks, Anchorage, Eagle River, Wasilla, Palmer, North Pole and the surrounding areas and focus on the property itself, not the items placed inside— light fixtures, cabinet hardware and the like. Carpet is another feature that causes many first-time homebuyers to pass on a property. 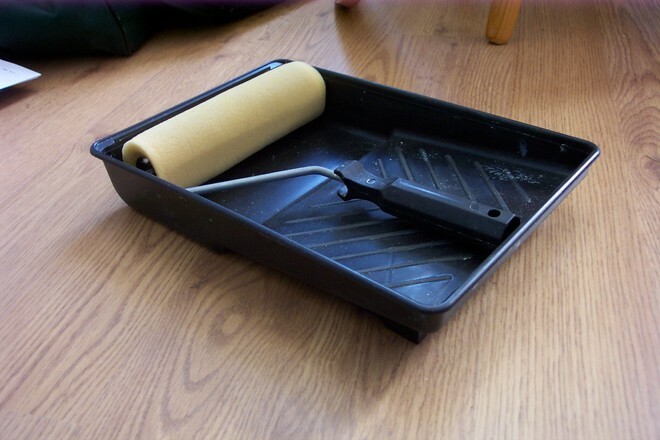 Depending on the type of flooring in the home, this can be as easy to change as paint colors. What you’ll want to focus on instead is signs of water damage, stains or creaking that could signal other problems, not the flooring choice alone. It’s true that many homebuyers, especially those making the move to their first home from an apartment, have dreams of new appliances— but not all homes come equipped with them! Keep this in mind as you’re house-hunting this year as new appliances are always something you can install later. Are you ready to buy your first home this year or simply move to a new property in Alaska? Do not hesitate to give the team at Madden Real Estate a call! We are here to help!